The Macaulay Land Use Research Institute has been involved in the development of the Land Use Strategy for Scotland since its inception. Here we bring together material developed within the Institute as well as other key sources, that informs the continued development of the strategy. Please use the menu on the left to see full details. timescales over which those proposals and policies are expected to take effect. 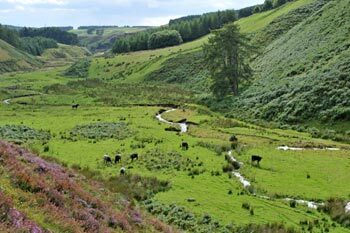 The Institute's response to the Scottish Government's Draft Land Use Strategy is available to view online. View the response. Professor David Miller was invited to give evidence to the Rural Affairs and Environment Committee at the Scottish Parliament on the 8th December 2010, to inform their scrutiny of the Draft Land Use Strategy. The official report of the session can be found at: www.scottish.parliament.uk/s3/committees/rae/or-10/ru10-2802.htm#Col3504.